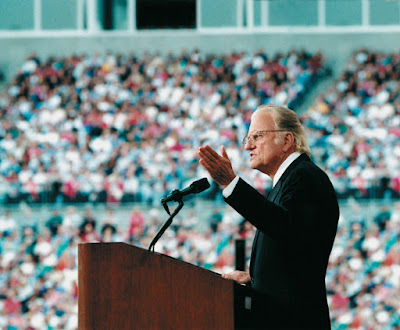 Years ago I worked for Billy Graham and the Billy Graham Evangelistic Association as the Associate Editor at Decision magazine. I learned a great deal from my years with Mr. Graham. After I left I had the opportunity to write a biography about Mr. Graham as a part of the Men of Faith series of books from Bethany House. Yet that book is long out of print (a sad fact that happens in book publishing). 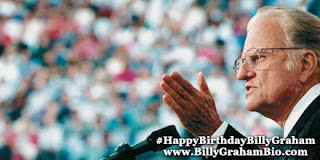 A couple of years ago, I updated my old book and added new stories and brought out a new book, Billy Graham, A Biography of America’s Greatest Evangelist. I built a book website, gathered endorsements and Luis Palau wrote the foreword for my new book. I’ve received great feedback about my book which currently has over 60 reviews on Amazon and Goodreads. 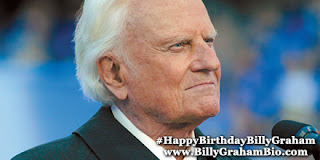 Besides this advanced planning to celebrate Mr. Graham’s birthday. I’ve been working on the audiobook version of my book. You can hear the retail sample of the book here and even use this link to encourage your local library to order the book. What is the milestone that I need your help to celebrate? 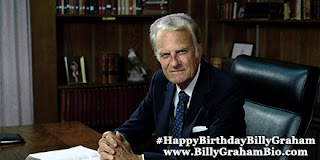 November 7th Mr. Graham turns 99. No one has preached the Gospel of Jesus Christ face to face more than Billy Graham through over 70 years of faithful ministry. In preparation of Mr. Graham’s 99th birthday, I’ve created a means for you to add to the celebration. 1 1. Use social media like twitter and Facebook to wish Mr. Graham a Happy Birthday. 2. Schedule your greetings using a tool like Hootsuite. 3. Social media gets more attention when it includes an image. 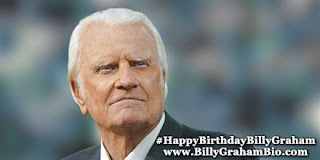 I’ve created four images of Mr. Graham that you can use with your greetings. Let’s start a movement of celebration for this milestone birthday. 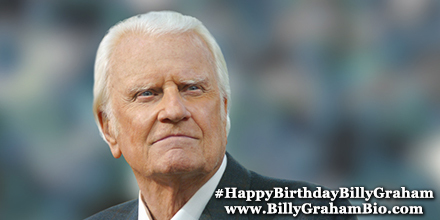 Each of us can wish Mr. Graham a Happy Birthday with our actions. Please pass this information along to your church or small group Bible study. I suspect many people would like to help me mark this celebration. Tell me what actions you are taking in the comments below.